I was delighted to received this email inviting me to attend the Festive Gourmet Food Trail with Ah Lun, organized by Wan Bao and Omy.sg. 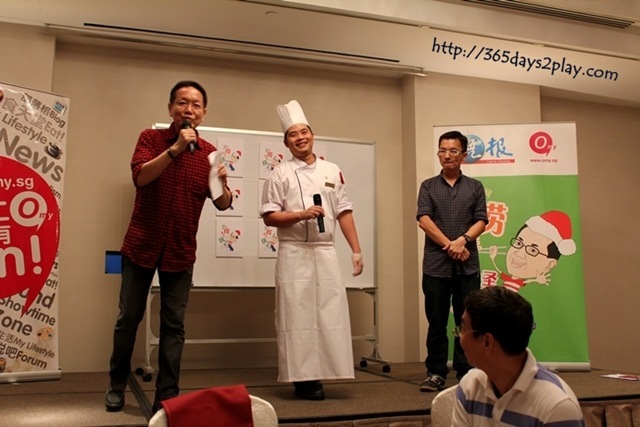 Ah Lun is a veteran journalist, but it seems his skills aren’t just limited to writing, he is a very funny host too. Ah Lun would be bringing a group of foodies to sample Christmas and Chinese New Year festive cuisines at 8 famous restaurants. At each restaurant, one would get to sample several dishes. 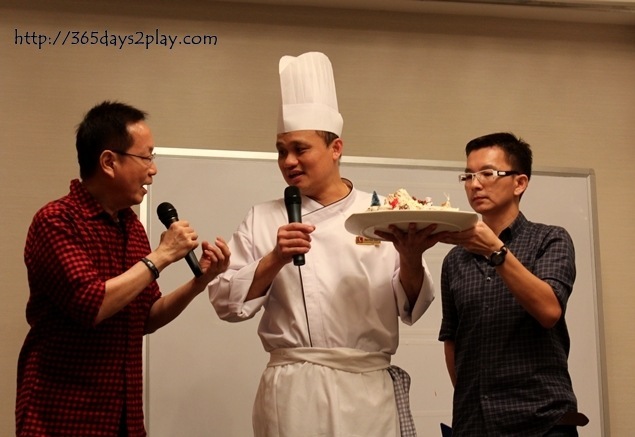 And the most important sentence of in the email…”Please come with a really empty stomach!” To be frank, while I was delighted, I was also apprehensive, after the really belly bursting 8 restaurant Gastromania Feast at Far East Square! Still, it was an opportunity not to be missed. This time round, only 2 restaurants. I can handle it…. 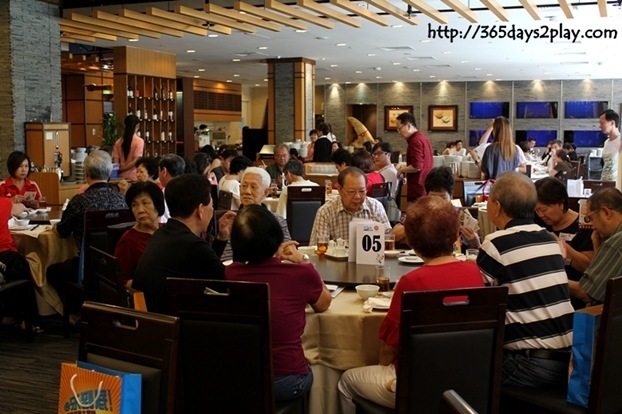 It costs $108/pax, but despite the amount, the event was almost full house! 8 tables worth of people for my session but I am told that the 26 November session, which is already sold-out, has more than 150 sign-ups! For more information on the event, click here to access the SPH site (only if you can read Mandarin. Otherwise, check out these 2 links for my pictures and a write-up each on Thai Village Restaurant and Rendezvous Hotel.